Leaving an ocean of fire, and the largest oil spill since 1991 in its wake, MV Sanchi exploded and then sank to the bottom of the Pacific on January 14. 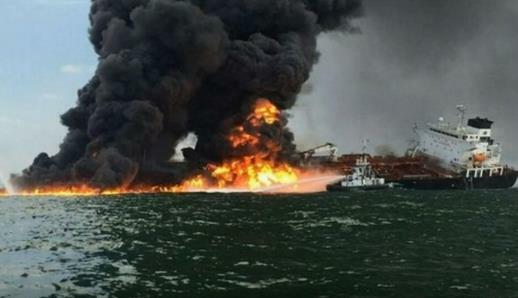 As two of Asia’s most powerful countries stood by — BC got a firsthand look at just how easy it is to sink an oil tanker. More here.